It's no time to shy away from color, men. 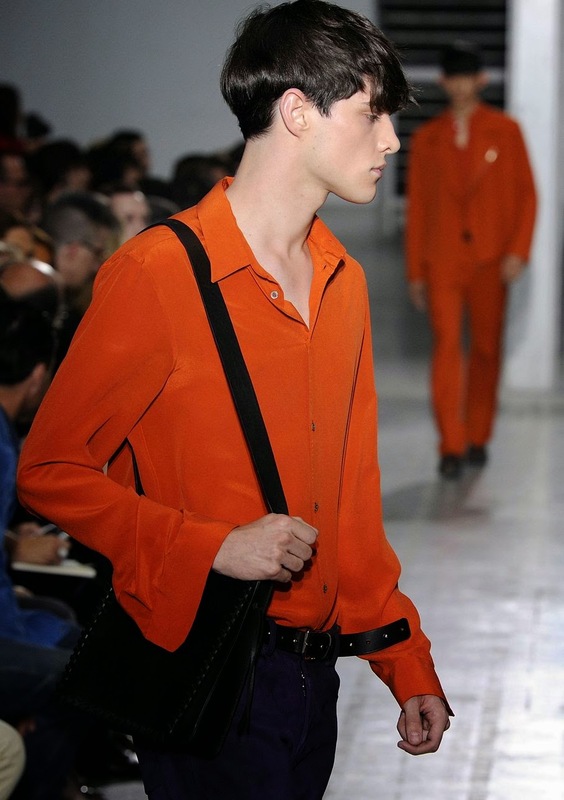 Milan Fashion Week previews opened Saturday for next summer's menswear, and already a trend is coming into focus: bold, electric colors. 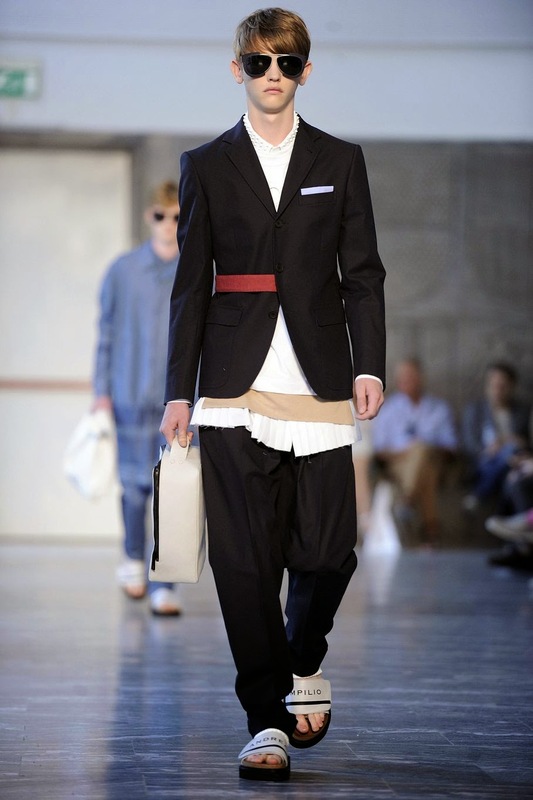 Economic indicators suggest men have become as fashion-conscious as women. 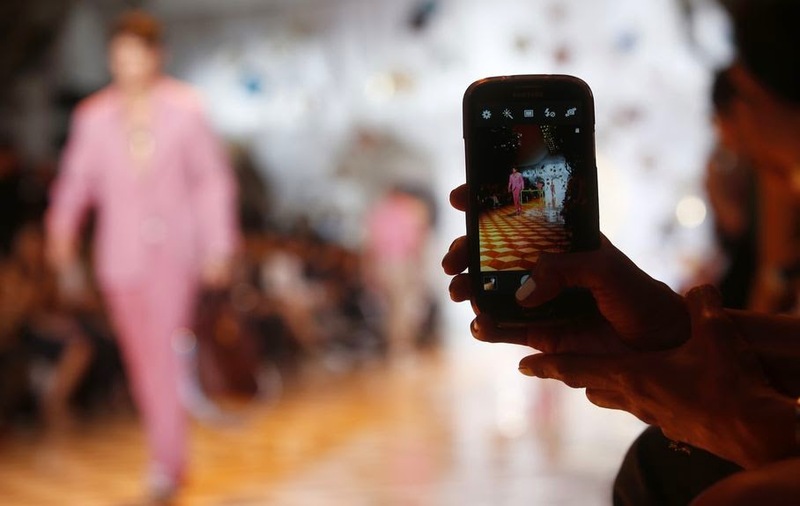 Now, Milan fashion designers are offering fashion-forward men ever more daring looks, digging into sartorial embellishments that long have been the playthings of women's fashion: brocade, embroidery, sequins and jewel tones. 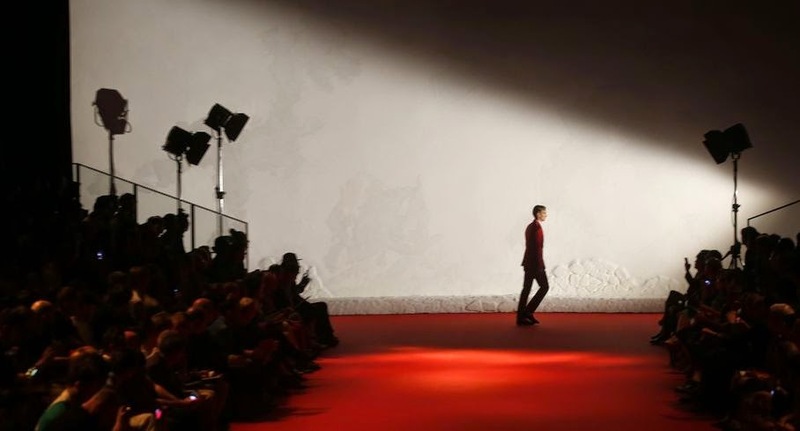 Milan Fashion Week runs through Tuesday, with Bottega Veneta, Armani, Gucci and Ferragamo among the designers scheduled to show their looks in the coming days. 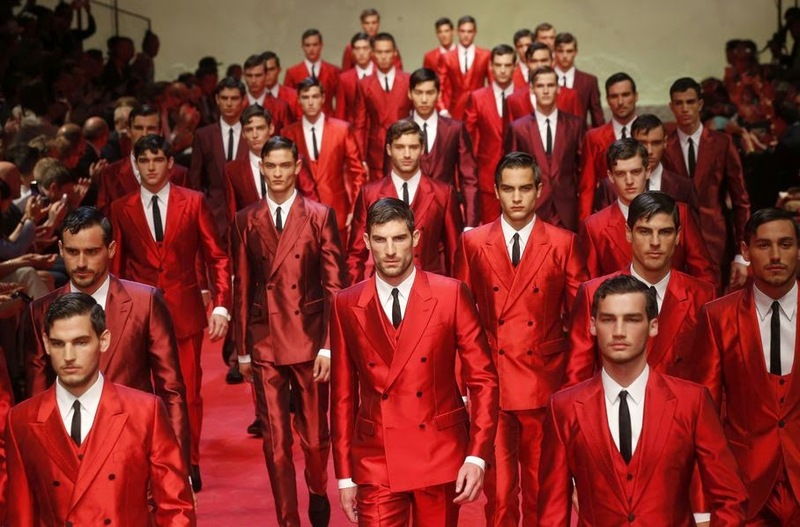 Since a group of butterflies is a flutter, it seems only fair to call a parade of Dolce&Gabbana models in tailored crimson suits a flourish. While the Spaniards may not have specifically brought bullfighting to Sicily, it is the matador jacket, embellished with swirls of piping and ribbon, which forms the backbone of the collection - and offers the sort of baroque elements that often underpin Dolce&Gabbana style. Instead of traditional gold, these new accents are black. The jackets are worn with cropped trousers and slippers. 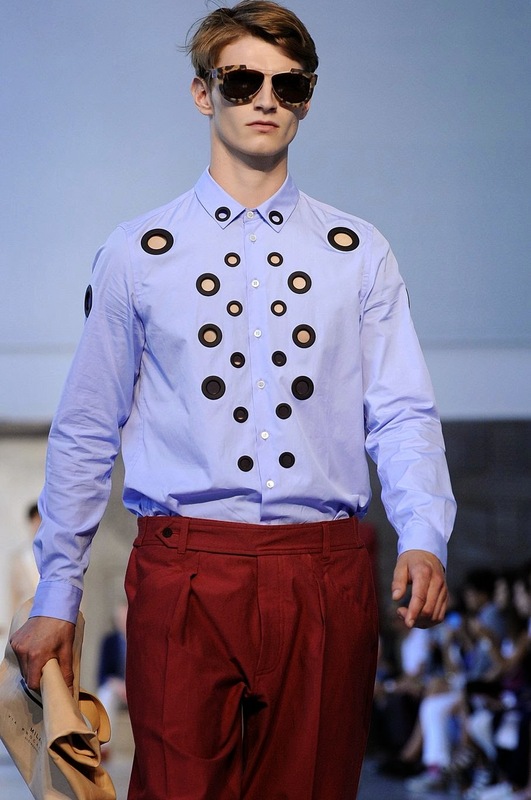 The designers offer a new version of their boxy top, often worn with skinny trousers, this one with pictures of charging bulls -- the icon of the season. Worn around the neck to accompany this fierce image is a delicate rosary, suggesting either the fervor it must take to enter an arena with a raging bull or gratitude for having survived. 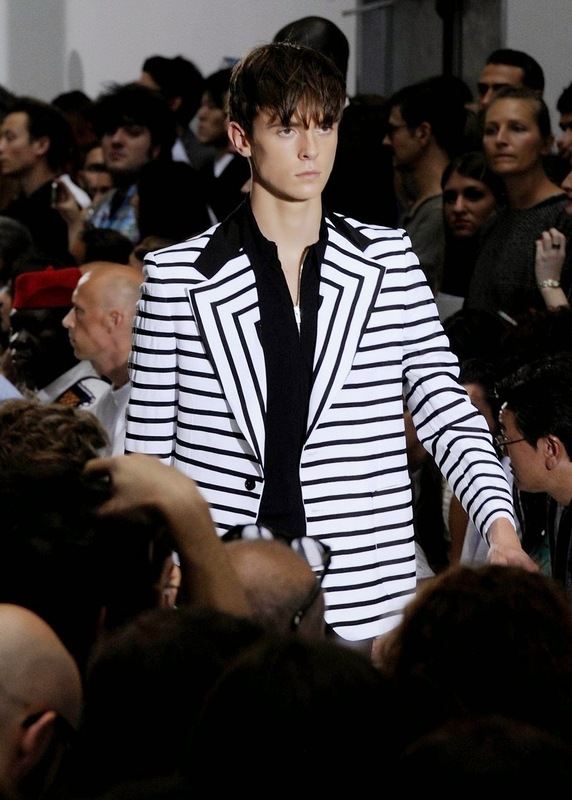 The designers have incorporated decorative elements from the traditional toreador costumes into more urban suits, including ribboning. The final distillation is a series of shiny three-piece suits with inventive scoop-neck gilets in a series of colors: cornflower blue, evergreen, emerald, purple and salmon pink - all giving way to a finale of crimson red. This was a serious collection, heavy on ornament and light on beach wear. Unless you count a big boxer short worn with an oversized boxer's belt. 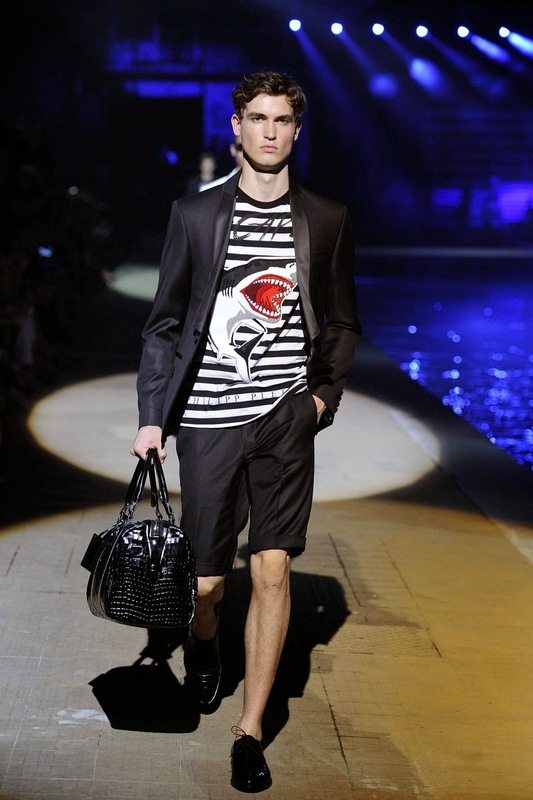 Donatella Versace's looks for next summer inspire one question: Where's the party? 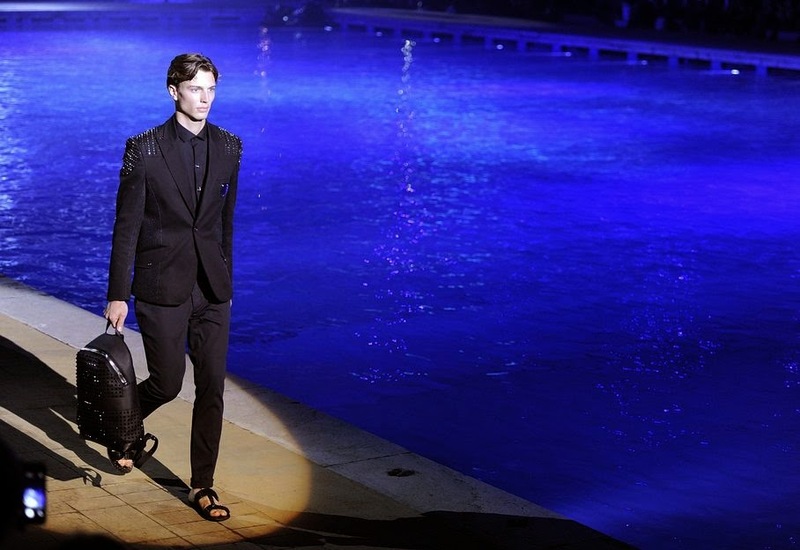 Versace, thinking of everything, even includes a toga. And there is one very intricately wrapped swimsuit that might have worked as a shot-putter's kit in the ancient Greek Olympics. The emphasis is on fun, Cuban-style. The colors are soothing Caribbean monochromes: salmon pink, celestial blue and white. The looks at times evoke tradition, with images of Havana street scenes woven into tops or crocheted squares forming panels in linen shirts. And they inspire a good time, with graphic silhouettes of dancing figures or giant hibiscus trees cut onto leather coats, imposed on jumpsuits and printed on shirts. Jeans included elaborately worked with laser-cut images of tropical fruit or embroidery of Caribbean foliage. In a novelty for the Milan runway, models carried backpacks and satchel bags brimming with Versace dishware -- a sure hint that a party is brewing somewhere. No one can say Philipp Plein doesn't know how to throw a party. 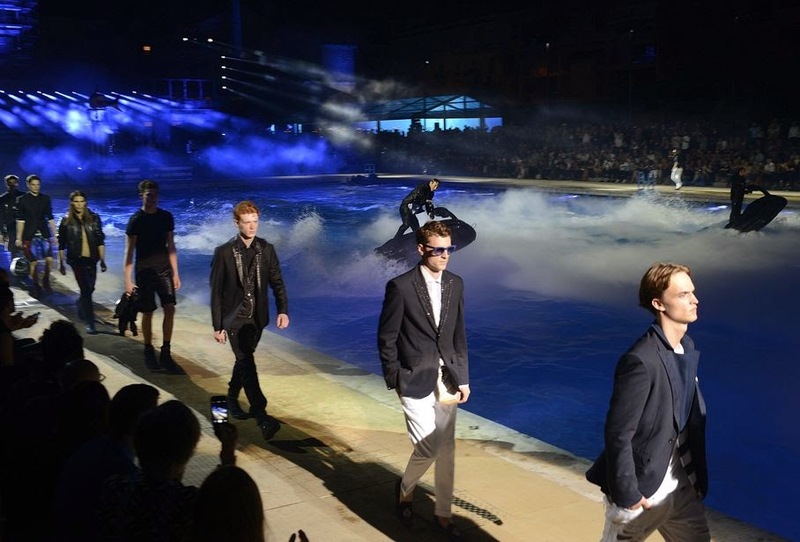 The German designer held his preview show around an outdoor swimming pool, and rapper Theophilus London performed on the back of a jet ski while models paraded their wears. The audience was also treated to a synchronized swimming routine and a pair of jet ski acrobats. Many of the looks were inspired by the Navy, with hand-stitched metal patches covering pants, jackets and sweat suits, ironically. An attacking shark is this season's icon, and comes in a crystal-studded version on a top. 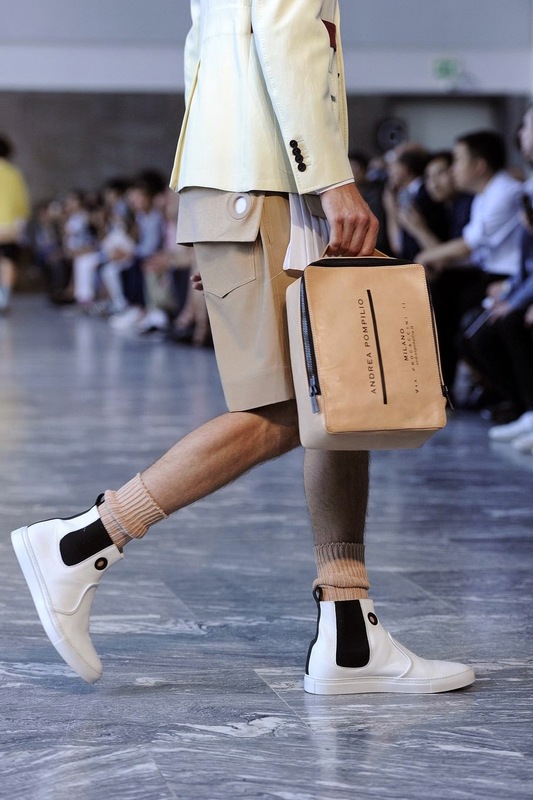 The looks veer from a military clean silhouette to street wear with splashes of graffiti paint on trousers and shorts to preppy jackets with piping or crystal embellishments. All in good fun. 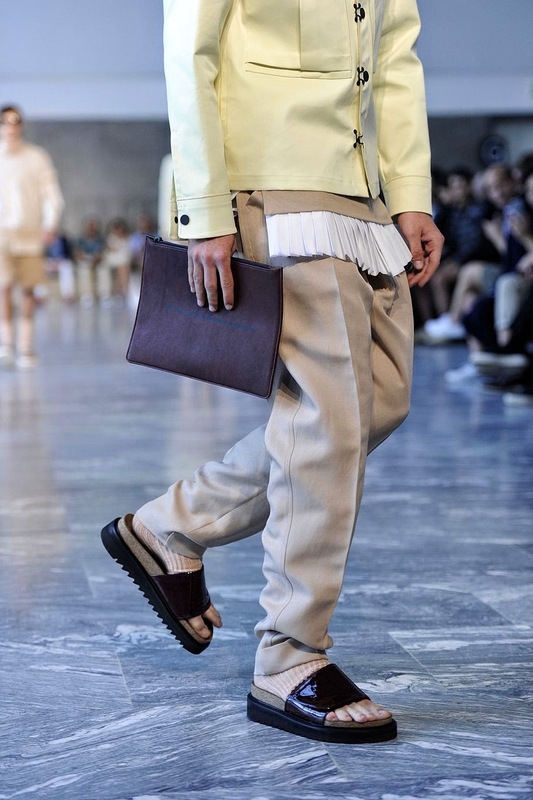 When the announcement went out that Christian Pellizzari would be making his Milan runway debut at Giorgio Armani's theater, the designer remarked that `'it was like a bomb exploded." 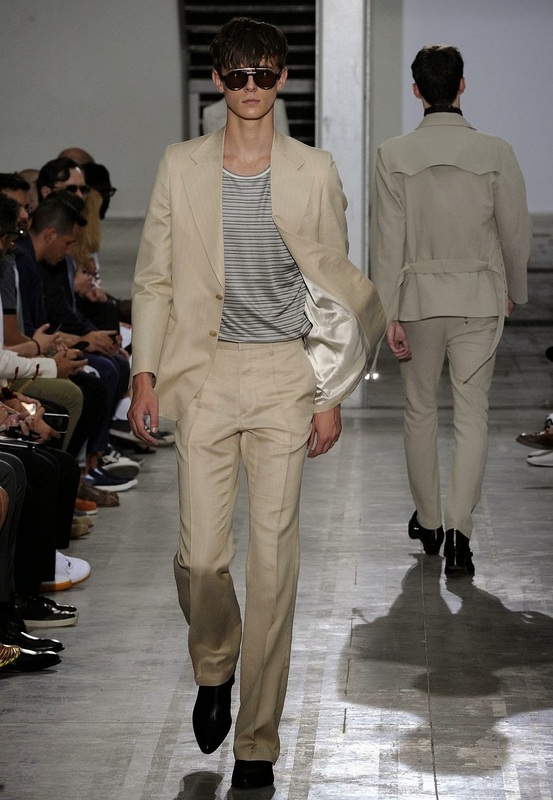 The 33-year-old native of Treviso, near Venice, has taken cues both from the disciplined sartorial brand Tonello, where he honed the skills of an Italian craftsman, and from the extravagance of Vionnet's Paris couture, where he later worked. Pellizzari's looks seek to balance those two extremes. His tailoring gives a serious fashion underpinning to such extravagances as embroidered and sequined peonies, that are a motif of the season. The designer says his goal is to create clothes that his friends back home would wear, not just fashionistas. 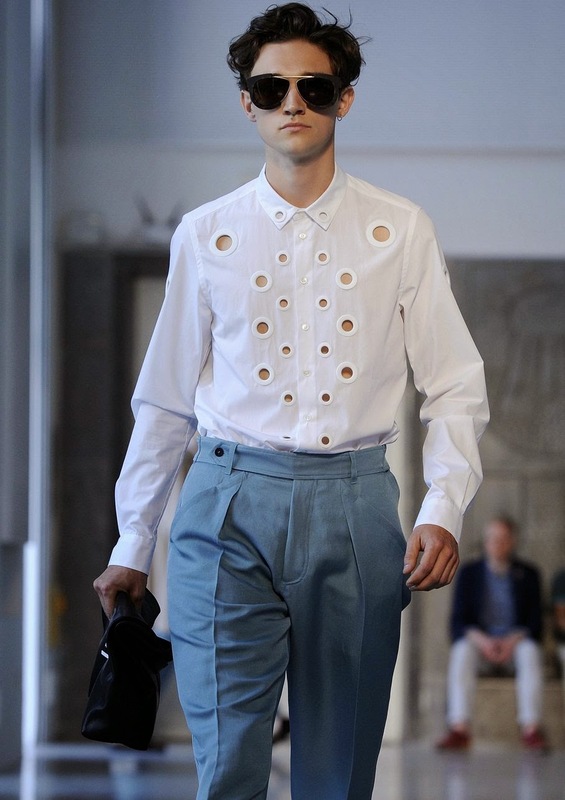 So he combines cropped jacquard trousers with casual lace-sleeved cotton tops. 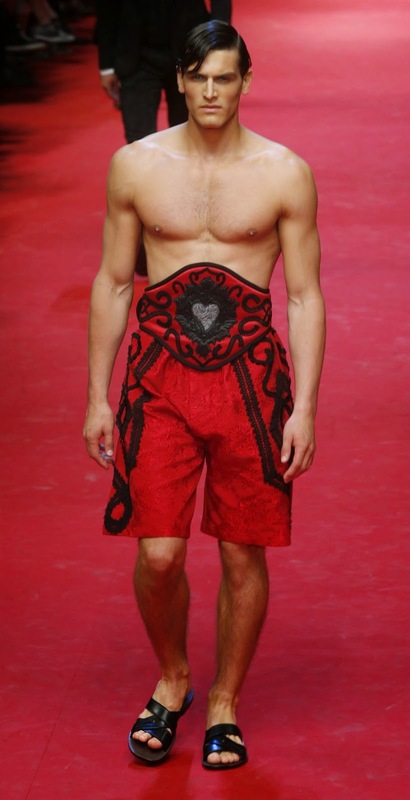 An embroidered top `'could be worn at the beach with a pair of shorts," he said backstage. 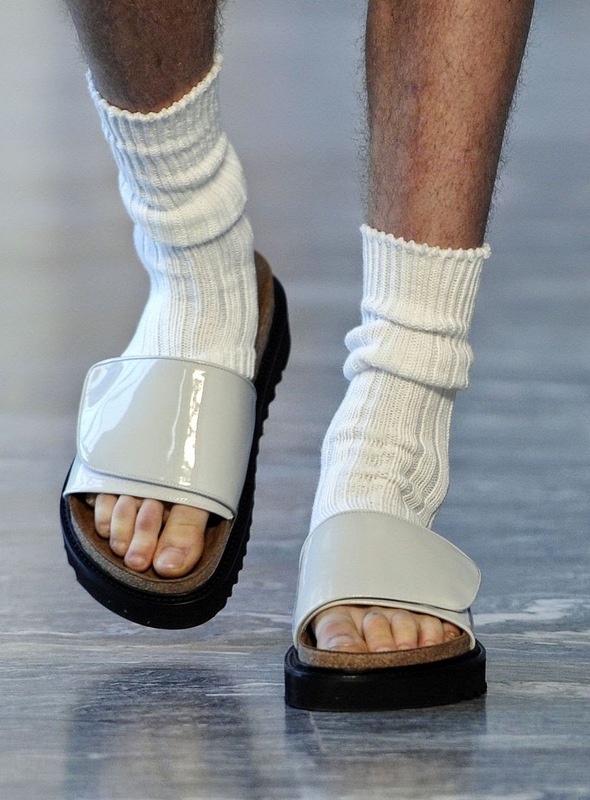 He called the looks American Gigolo and heralded the free spirit by sending models down the artificial turf runway barefoot, tassels dangling around their ankles in a tribal touch. Pellizzari , who launched his own brand four years ago, is the latest up-and-coming designer selected by Armani to preview their collections at his theater. 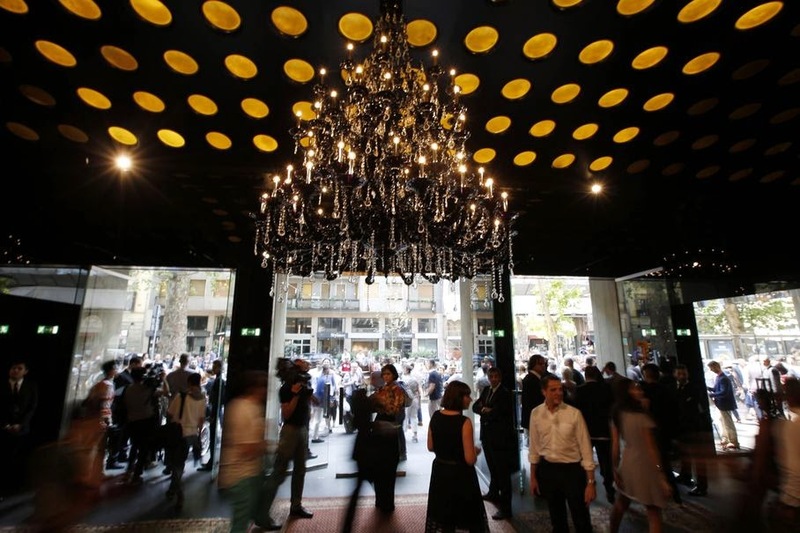 It's part of Milan's efforts to inject fresh energy into fashion weeks. 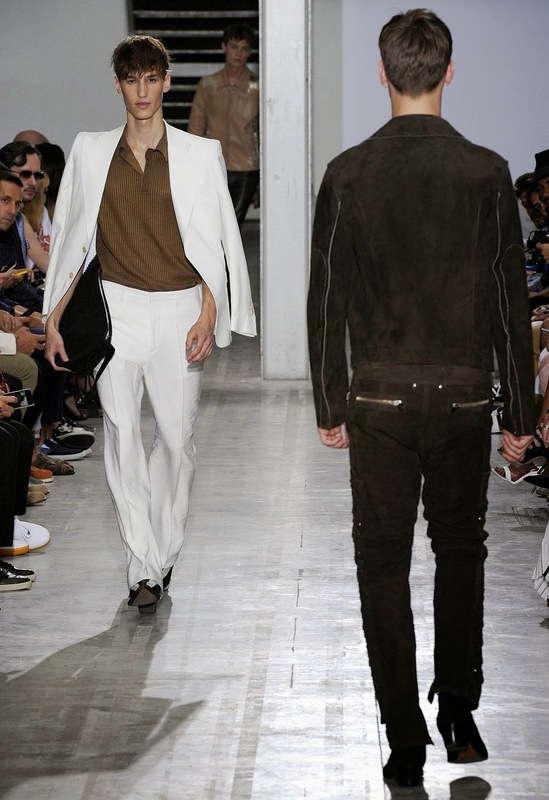 A leisure suit silhouette with flared trousers, followed by leather biker outfit with laced outer seams, convey a vaguely 1970s vibe - or more specifically, an American honky-tonk tone - in Ennio Capasa's new collection for Costume National. But the looks defy preconceived notions. Suits are worn without shirts, or with just a vest. And instead of ties, a neat foulard is knotted just askance of the Adam's apple. Ankle boots confirm the western feel. 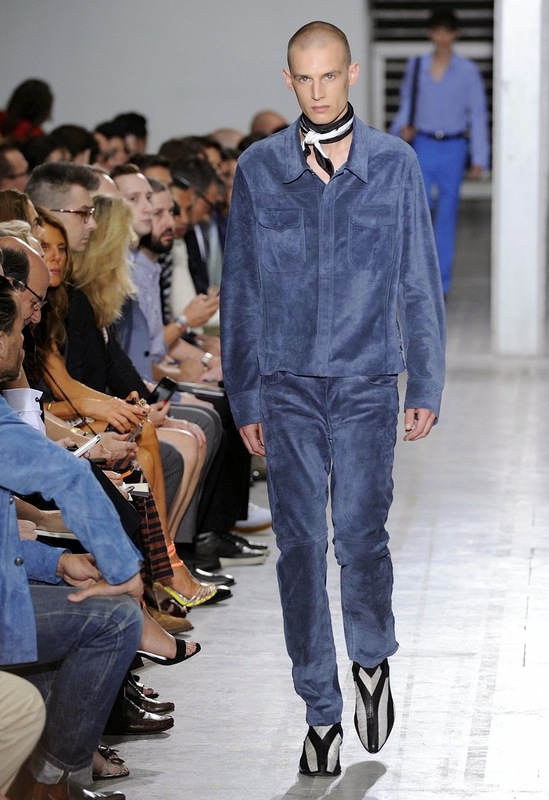 The runway show's setting, a big white industrialized space, made the colors pop: a monochrome purple suit with matching shirt, another in burnt orange, then more in soothing shades of blue. Outfits followed of pure white, with diaphanous shirts that looked more like blouses. 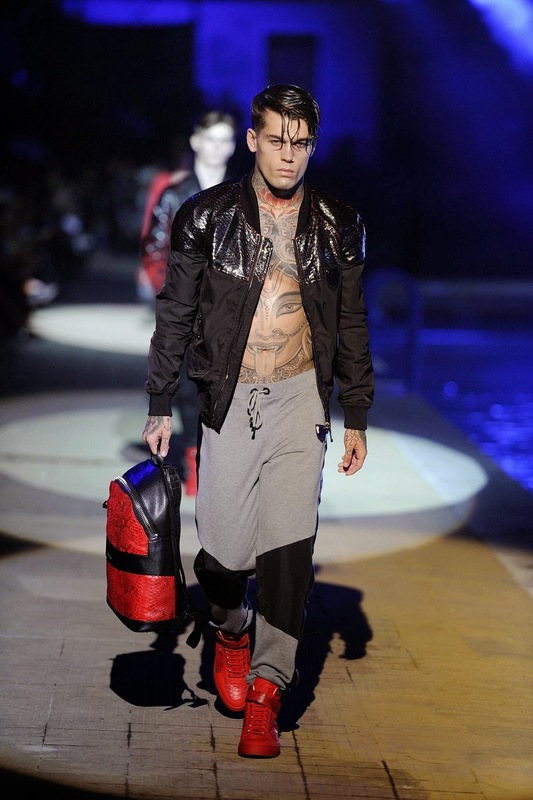 Capasa said he was inspired by the `'liberated elegance" of rock icons, including Mick Jagger, David Bowie and Lou Reed. The looks were finished with sunglasses and hobo bags worn over the shoulder, not in the more masculine cross-body fashion.